Celebrates a century of eurythmy. The birth of eurythmy, an expressive approach to movement and dance originated by Rudolf Steiner, was a little over a century ago. 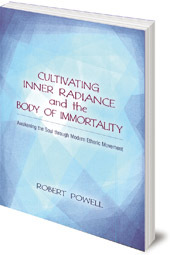 This book invites us to reconnect with the sacred through life-enhancing movement and gesture. The many exercises offer a training in eurythmy which will help refine the qualities of the human soul. The book is illustrated with helpful diagrams demonstrating the gestures of eurythmy, and fully explores the philosophical background to this unique art.